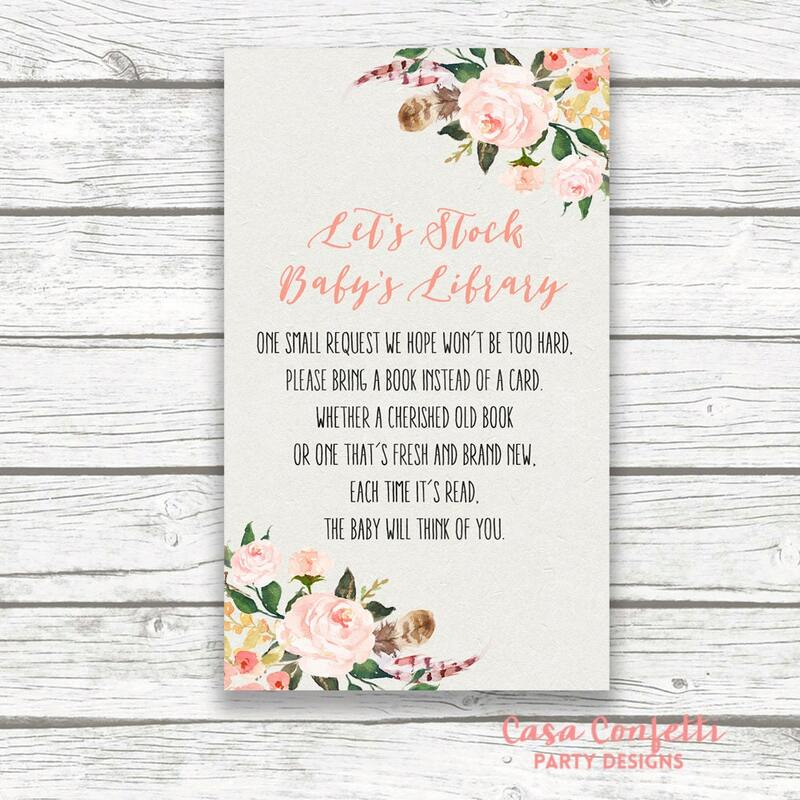 Help the mom-to-be stock up on books! This listing includes a PRINTABLE file with four (4) cards per sheet. Card measures 3" wide x 5" tall.